Although the Algarve is one of the most popular tourist destinations in Europe, there are still some areas that remain less crowded than others. Carvoeiro, for example, is a former civil parish and fishing village. As of 2011, the population was a mere 2,721. The town is very much alive and buzzing during the summer months, making it the perfect time to visit. 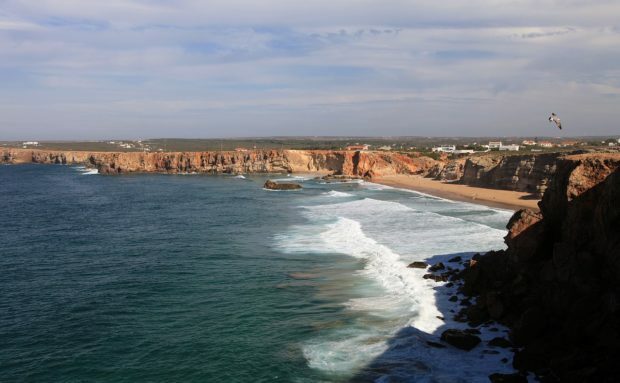 From Carvoeiro you could visit the delightful village of Benagil. Here you’ll discover the incredible natural caves, only accessed by boat or swimming. There are many exquisite beaches across the Algarve, most notably Praia da Rocha and Marina de Vilamoura. Praia de Rocha is a beautiful beach with towering rock formations in the area of Portimão, surrounded by many bars and nightclubs. Alternatively, Marina de Vilamoura has more of a relaxed vibe, with plenty of amazing villas in Vilamoura to choose from for an extended stay. The Algarve is certainly not short of fantastic beaches to make the most of the scorching summer sun. Portugal may be slightly underrated when people think of the best countries for delicious food. However, in recent years it’s been making more of a name for itself – particularly in regards to its fresh seafood. Fish markets are aplenty in the Algarve, offering freshly caught produce made into tasty traditional meals such as ‘bacalhau’ (salted cod) and ‘amêijoas à bulhão pato’ clams in a garlic butter and white wine sauce. Aside from this, you can also try their most famous dish – peri-peri chicken, a little different to how you may know it. This part of the world is abundant in rich culture and tradition. The Algarve in particular still holds many of its past influences; with medieval buildings, museums, and long-standing fishing markets. There are frequent shows and festivals throughout the year, including the Carnival Of Loulé, Feira de Santa Iria and Festival Med. All well worth a visit if you can make it. Nature and wildlife lovers will have an experience like no other visiting the Algarve coast. Dolphins are the main attraction here, with regular boat trips taking place to catch a glimpse of them. If you’re lucky, you may even spot a whale. Though this is quite rare!